J. Samuel Subramanian is Associate Professor of New Testament Theology at United Theological Seminary of the Twin Cities. He serves as the Director of the United Methodist Center at United. He is an ordained Elder in the United Methodist Church. He joined United Faculty in 2014 as Assistant Professor of New Testament Theology. He obtained his Ph.D. in New Testament from McMaster University, Hamilton, Canada where he focused on Second Temple Judaism, Philo, Josephus, the Dead Sea Scrolls, the Septuagint, New Testament, and early Church Fathers. He has other numerous degrees including M.Div. from Southern Methodist University, Dallas, Texas and CISS from The Episcopal Theological Seminary of the Southwest, Austin, Texas. He has published The Synoptic Gospels and the Psalms as Prophecy, and contributed and co-edited Resourcing New Testament Studies: Literary, Historical, and Theological Essays in Honor of David L. Dungan. 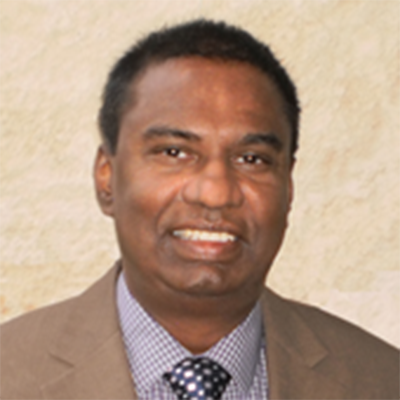 Prior to coming to United, Subramanian served the United Methodist Church in the Iowa Annual Conference for eighteen years and taught at Bangor Theological Seminary, Methodist Theological School in Ohio, Wartburg College, and University of Nebraska at Omaha. He also taught at Hindustan Bible College, Leonard Theological College, Bishop’s Theological College, and Trulock Theological Seminary in India. He travelled to Switzerland to study Eastern Orthodox Theology and Spirituality and to Israel to research the Dead Sea Scrolls. At United, Subramanian teaches Introduction to the New Testament, Synoptic Gospels, Letters of Paul, Book of Revelation, New Testament Church, Religions of India, Theology of John Wesley, and United Methodist History and Polity, and leads students on Global Journey. He has guided students on independent study in Global Justice. He is a member of American Academy of Religion and Society of Biblical Literature. He is a Fellow of Jesus Seminar (now known as Westar Fellow). He is an avid fisherman. He lives in Minnesota with his yellow lab, Shamu.